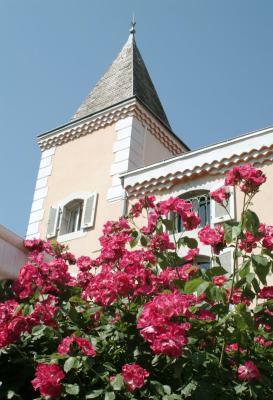 Lock in a great price for Hotel Logis - Chateau de Beauregard – rated 9 by recent guests! 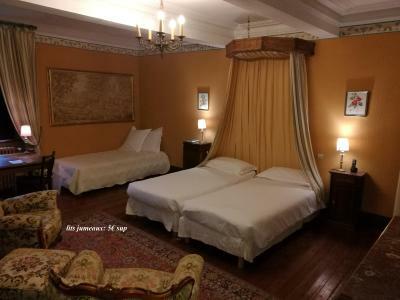 Old castle, nice, welcoming staff, good beds and linens, parking aplenty. 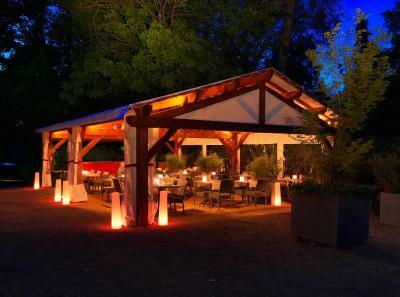 The auberge next door was awesome. Restaurant was exceptional for the money. Hotel was quiet and a short walk away from the city center. The restaurant was terrific. 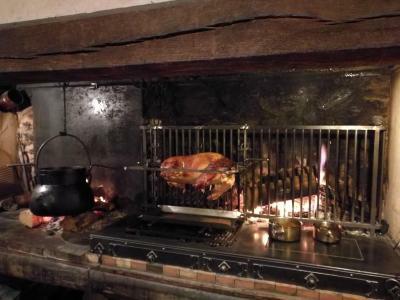 Fabulous atmosphere is huge forge like barn with a big iron pot full of soup bubbling along. excellent food big helpings of excellent meat dishes. Friendly staff, truly something different. This what the rugby players of the Pyrenees are fed - so Vegans and Vegetarians eat elsewhere- that said there were nice 'ancient vegetables' . :). The hotel was comfortable if a little bit dated, but that was reflected in a value price. Excellent breakfast, very helpful staff. Food in the restaurant was lovely. The chateau is beautiful and full of character. The furnishings were so French and original features everywhere. 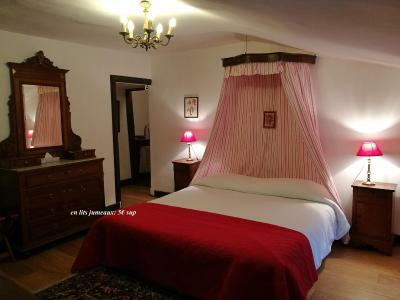 A warm welcome, delightful surroundings, charming room , everything worked, ample parking, nothing not to like. Even Hector the dog welcomes visitors with a wag. Good location excellent personal staff. Good restaurant. 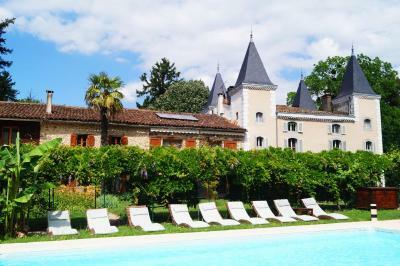 Featuring an outdoor swimming pool, Chateau de Beauregard is located in Beauregard, just 0.6 mi from Saint-Girons. Sitting in the middle of a 2.5-hectare park it features a rose garden and a spa with a hot tub and steam bath. 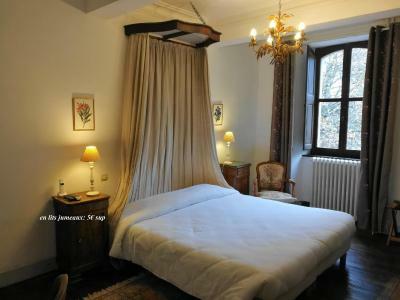 All of the rooms at Chateau de Beauregard are elegantly decorated with antique furniture and a parquet floor. Each room features a flat-screen TV, a sofa and an private bathroom. Ironing facilities are also provided. A continental breakfast is served every morning in the dining room. 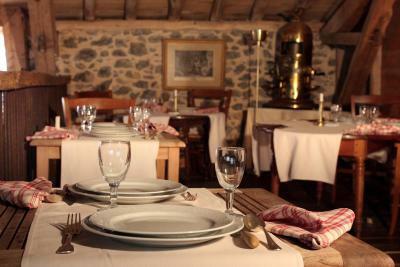 The hotel’s gastronomic restaurant features stone walls and exposed wooden beams. 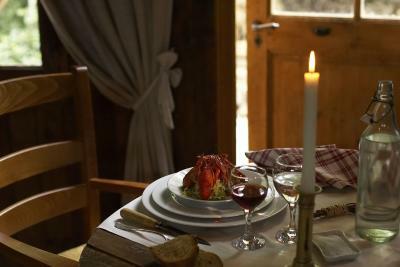 It offers traditional dishes from the region. Massages can be organized upon prior reservation and free Wi-Fi is available throughout the property. Free private parking is possible on site and many hiking paths start from the property. 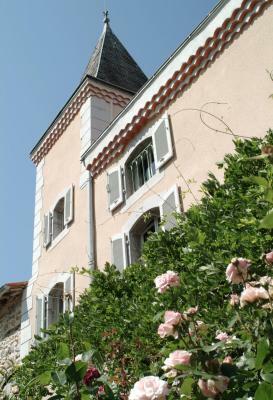 This property also has one of the top-rated locations in Saint-Girons! Guests are happier about it compared to other properties in the area. 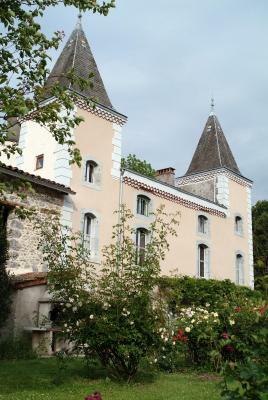 This property is also rated for the best value in Saint-Girons! Guests are getting more for their money when compared to other properties in this city. 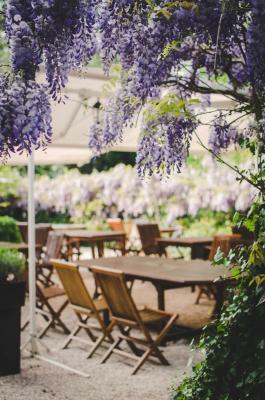 When would you like to stay at Hotel Logis - Chateau de Beauregard? The spacious prestige suites are air-conditioned, and include a walk-in wardrobe, and a private terrace with direct access to the pool and restaurant. The bathroom has a shower and a bathtub, as well as a hairdryer. With an elegant décor, this suite includes a TV with satellite channels, and a large double bed or 2 single beds. 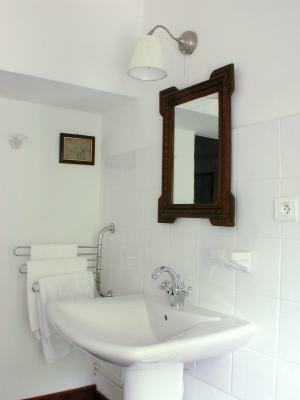 The private bathroom is fitted with a hairdryer and a bath or a shower. 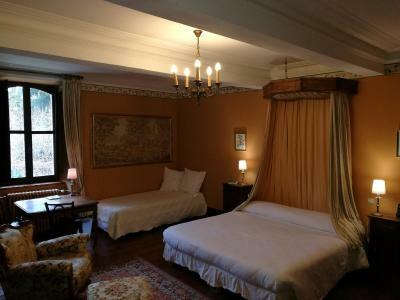 With an elegant décor and a parquet floor, this room features a TV with satellite channels. The private bathroom is fitted with a hairdryer and a bath or a shower. With an elegant décor, this triple suite includes a double bed or twin beds as well as a single bed. There is a TV with satellite channels. The private bathroom is fitted with a hairdryer and a bath or a shower. This holiday home has 2 bedrooms located upstairs and not serviced by a elevator. It also has 2 bathrooms, a fully equipped kitchen. Guests can enjoy a dining area and a terrace overlooking the park. The living room includes a desk area, WiFi access and a flat-screen TV with Canal + channels. 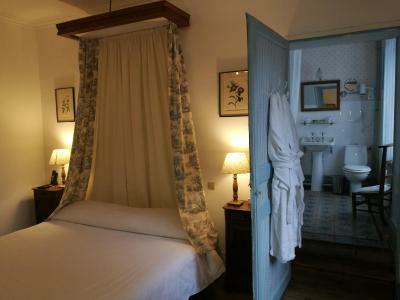 House Rules Hotel Logis - Chateau de Beauregard takes special requests – add in the next step! 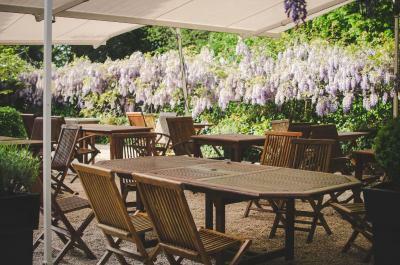 Hotel Logis - Chateau de Beauregard accepts these cards and reserves the right to temporarily hold an amount prior to arrival. The restaurant is closed on Saturday for lunch, on Sunday evening and Monday all day. Please note that the restaurant must be booked in advance directly with the restaurant. If you request twin beds, an extra EUR 5 applies. Please inform Hotel Logis - Chateau de Beauregard of your expected arrival time in advance. You can use the Special Requests box when booking, or contact the property directly using the contact details in your confirmation. Small lobby. Can hear neighbors as it is a castle. We liked it all and we’d stay there again. 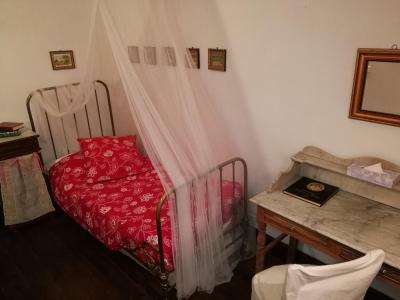 It was set in a lovely location and was quintessentially French. We were travelling on motorbikes which they allowed us to park under cover in a marquee. 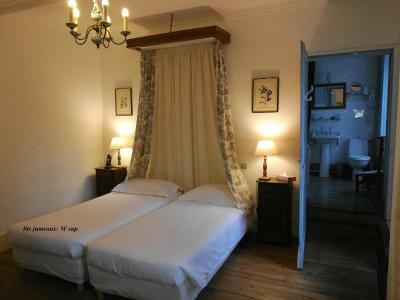 The staff were very friendly and our rooms were rustic French chic and very clean. We ate at the restaurant in the evening which was excellent. The food was superb, the staff were great fun and it was reasonably priced. The breakfast buffet had a nice selection of goodies. A damp feeling in downstairs also the stairs were difficult to negotiate. 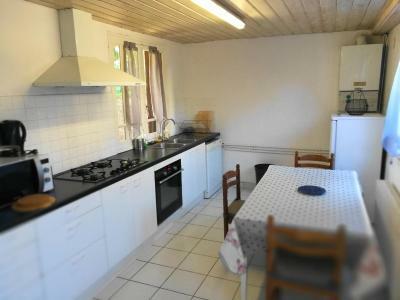 It had access to garden and other amenities, with excellent resturant next door and a short distance to the town. The shabby chic look- please don't over renovate! Bathrooms are super modern and clean. Real character rooms. 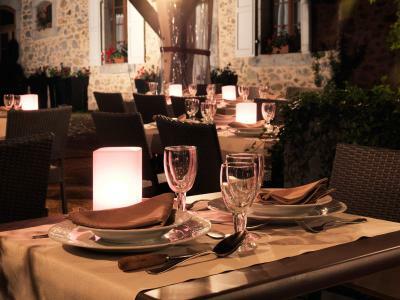 The restaurant is fantastic, very professionally run and obviously very popular as it was full.